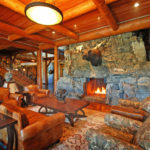 Copper John is a loft-style, hand-hewn log cabin that boasts a wrap-around porch with sweeping views of the river and craggy mountain outcroppings. 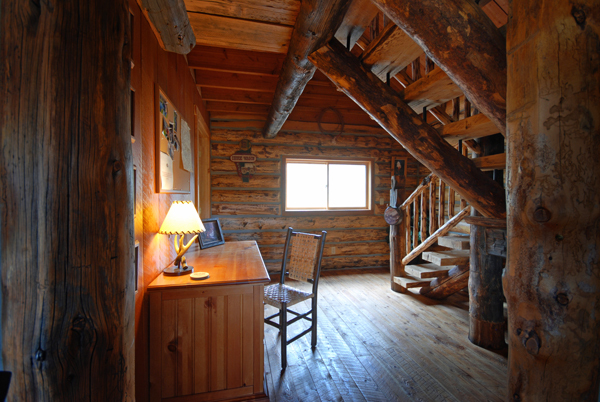 Beautifully crafted, the cabin utilizes reclaimed wood from original buildings on the property from the era of the Copper Kings of Butte. 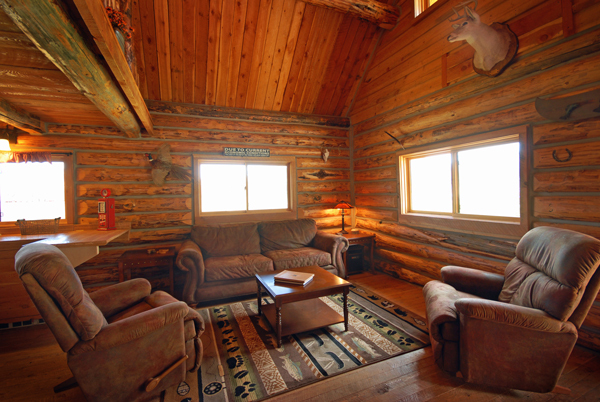 Located on the river, Copper John is the perfect cabin for a Montana fishing vacation. 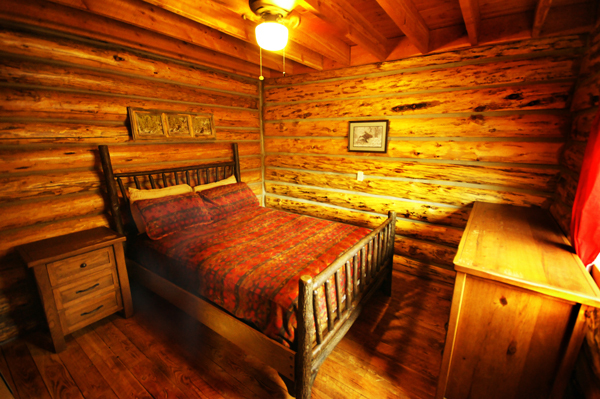 The cabin has one private bedroom downstairs with a Queen-size bed. 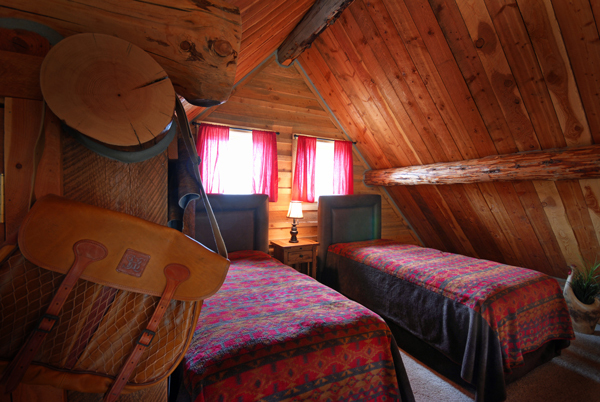 Upstairs there are three single beds in a large loft. Our beds and linens are a customer favorite. The cabin has a full bath. The living room is equipped with a flat-screen TV, Satellite, and a DVD player. 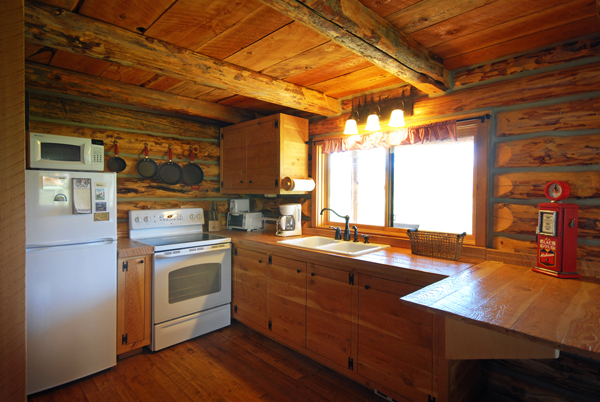 The cabin features a dining area that seats five, a gas BBQ grill on the porch, WiFi, and a fully equipped kitchen where you will find a toaster, microwave, refrigerator, coffee pot/filters, pots & pans, mixing bowls, cups, wine glasses, plates, electric range, cookie sheets, spice rack, and numerous gadgets/utensils. Stocked kitchen include paper towels, toilet paper, lighters/matches, garbage bags, dish soap, dish towels, sponges, and foil. And did we mention the porch? 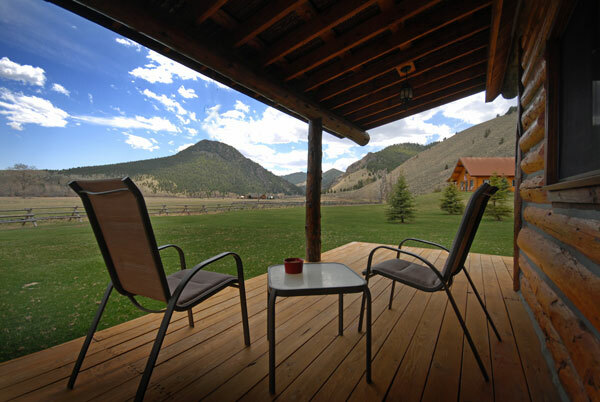 Relax and take in views of the tree-lined, Big Hole River. The river is an easy walk across the hay meadow. To the west, search for bighorn sheep who climb the craggy cliffs behind the ranch. 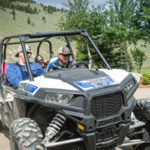 Moose, elk, whitetail deer, and eagles frequent the meadows and mountain slopes of the Silver Bow Club. 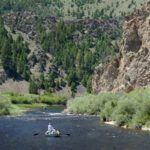 Spend days fishing the Big Hole River. 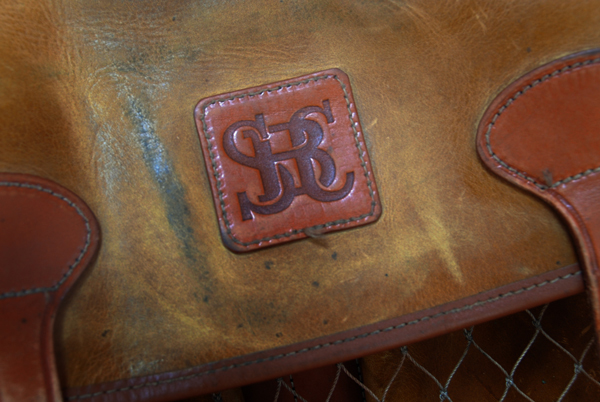 Our guests are encouraged to take advantage of our incredible, 3.5 miles of river frontage. Or take a drive on the Pioneer Scenic Highway which follows the Wise River high into the mountains. Bring a camera for this spectacular drive. Visit the well-preserved ghost town of Bannack, Montana. 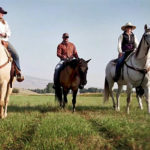 Spend a day in the cowboy town of Dillon, Montana. There you will find interesting shops including a Patagonia outlet store. 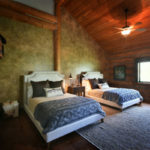 Our cabins are priced with a flat nightly fee. Non-inclusive, cabins are perfect for the Do-it-Yourself vacationer. Activities and meals are additional and can be added to your stay. 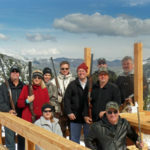 The Silver Bow Club is a Big Hole River Lodge in Southwest Montana that offer log cabins on the river. 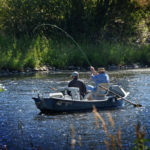 The perfect vacation destination for fly fishing the Big Hole River, vacationing with friends and family, mixing business and adventure, and pheasant hunting in the fall. 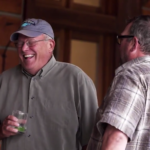 Stay at a cabin on the Big Hole River for your next Montana fly fishing vacation. The river is just a short walk from the Copper John Cabin. Rent a golf cart during your stay to easily access the river and carry your fishing gear and lunch to the river.